When it comes to coaching there are a lot of options to choose from. Niche coaches that can help with say e-mail marketing growth, branding, business building, mindset, spiritual, etc. can be found pretty much anywhere; as we talked about in Where To Find A Coach. Depending on what type of coach you are looking to hire you may also want to choose how the coaching occurs. 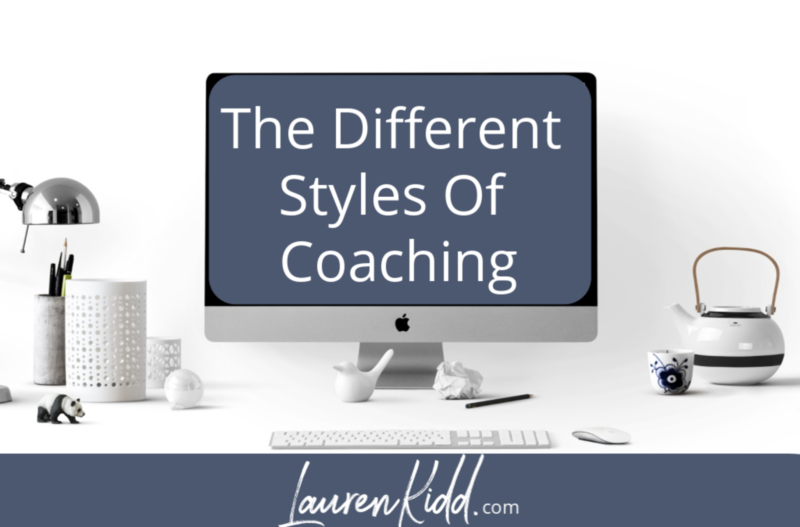 There can be a large variety in the different styles of coaching. 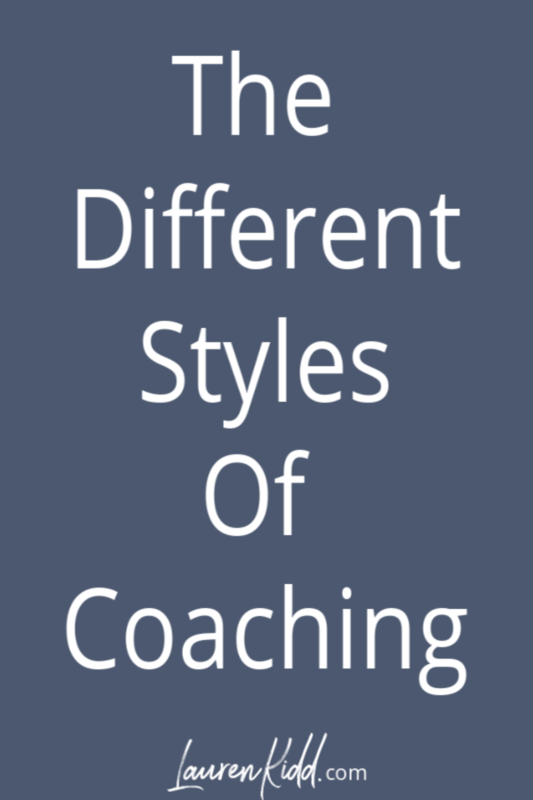 As there are a number of different types of coaches there is also a large variety in how each coaches chooses to coach. Let’s talk about some of the ways you might find a coach offers their support. Individual Custom Coaching– This is 1:1 coaching. A coach can choose to do this in person, over the phone, video call, Voxer style, through facebook messenger, etc.. A client’s specific goals are what the sole focus of the coaching is on. A coach will support the client to help them move forward successfully and achieve the goals they have set out to obtain. Calls can either take place daily, weekly, biweekly, or monthly. Individual Coaching on a Specific Topic- These are often referred to as signature coaching packages. I’ll use myself as an example. I, not totting my own horn but, am a content guru and I LOVE teaching others how to create MASS amounts of valuable content that attracts their perfect client in to their circle. I offer a 1 week coaching session where we create mass amount of content for your business or we can go over content you’ve already created, or we can outline the content for a new course for you. This type of coaching is still very individualized. A client has a specific need they’d like covered and this type of coaching program covers that specific need. Calls can either take place daily, weekly, biweekly, or monthly. Coaching Through E-mail- This is very similar to the above coaching programs but instead of calls through the phone, FaceTime, or Voxer, all coaching would be done through e-mail. This requires an immense amount of competence from both parties as e-mails must be clear and concise in order to detract from any form of miscommunication or misunderstandings. Group Coaching- This type of coaching can be beneficial to both the coach and clients. To the coach this may be a great way to share on a topic to multiple people at one time. You have the ability to coach as few as 2 at a time or as many as 50 people at a time. There is a particular theme to this type of coaching program. This can also be a great fit for clients as group coaching tends to be more affordable to those who may not be able to commit to 1:1 coaching at the moment. There is also a group to keep you accountable and support you along your journey. Seminars/Workshops/Webinars/Masterclasses- This can be very similar to the group coaching as one topic is addressed. The teaching is done via zoom, facebook live, IG live, or other live recording platform where you would teach/be taught on a specific topic for roughly an hour or more. This type of coaching can also be done in person in front of an audience should that be beneficial to your audience. Retreats/Team Coaching- These are in person get aways where coaching is part of or the main focus of the retreat. This is a great way to change up the scenery, become full immersed in learning, and can be great for team building/networking/support. There has been a large number of virtual retreats popping up online so this may be something you consider. Membership Coaching- This can be a limitless option where one could teach on any topic, for any amount of time through lives, posts, workbooks, etc.. There are usually assignments given, group instructions, video trainings, live coaching, maybe even a live Q&A. The options here are varied with great potential. Speaking At Events- Public speaking, speaking engagements, speaking to small or large audiences, this is an excellent way to become visible in your business. Digital Coaching Program- This is by far one of the easiest ways to grow your income as a coach while reaching the most people. Providing digital courses covering specific topics to the masses has large benefits. The courses can be on a platform like Course Craft or delivered through E-mail on a platform like ConvertKit. There are a large number of ways to coach your audience or to be coached by someone. You must determine what works best for you and your needs or your business model!